Halloween is creeping up and it will soon be time for costume parties and trick-or-treating! 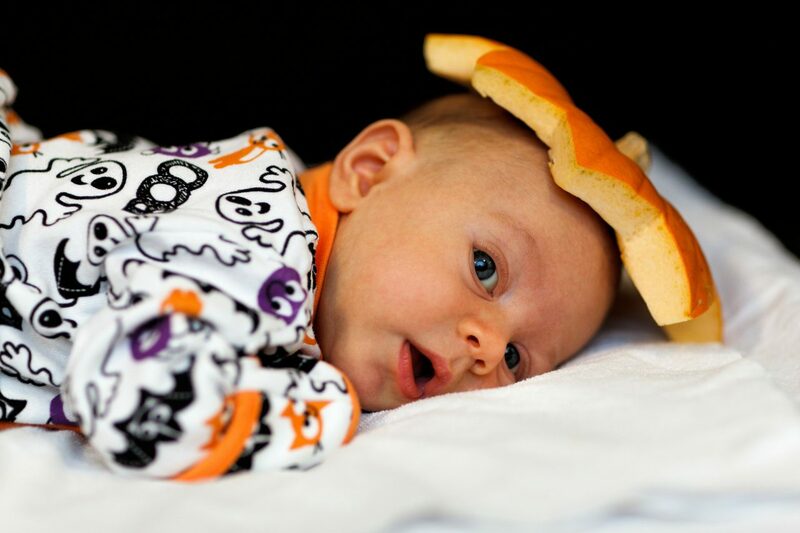 What will you and your little ones be this Halloween? If you’re like most parents, an elaborate Halloween costume may be too time-consuming and overwhelming for your schedule. Yet, you want to participate and your child does too! There is a middle ground in the form of simple, but fun DIY Halloween costumes. If you’re hoping for an adorable but do-able costume, we’ve got you covered. Take a look at this list of seven excellent DIY Halloween costume options that can serve for anyone in the family. The best part is that most of these can be created with items you already have lying around the house! While some of these costumes may require that you make some additions to your shopping list (which you can add through Picniic so you don’t forget! ), most of these costumes require minimal or zero purchases. Practically float through your trick or treating with this fun costume! Check out the details on the DIY network. We recommend you buy a back-up balloon when you make this costume – just in case! All you need is an old laundry basket, some string and an oversized helium balloon. You can really ham it up by wearing a scarf and hat, striped shirt and even some goggles! Family costume? Other family members can be clouds, the sun or a rainbow! All aboard the candy train! Make this fun train for Halloween using old boxes you have around the house. Follow this guide or make your own design. The beauty of this costume is that your child can help by painting or completing decorations, making it a one-of-a-kind train! Dress up your little conductor with a cap and a bandana around his or her neck and chug off to your Halloween festivities. Family costume? Other family members can be train cars or railroad signs! Becoming a minion is as easy as having a yellow shirt and hat, and a pair of blue overalls. Make your minion eyes using cardboard circles and paint. Then attach them to your hat. A pair of black gloves completes the look. If you’re feeling really into getting the details, staple a few black pipe cleaners to the top of your hat to serve as minion hair. Then practice your minionese before heading out to ask for treats! Family costume? You could all be minions, or opt to include other characters such as Gru, Margo, Edith or Agnes. This is probably the simplest costume on the face of the earth because all you need are purple balloons and some green fabric. Fashion yourself a leaf and stem out of the green fabric. Pin it to your child’s shoulder. Alternatively, glue the stem and leaves to a headband your child can wear on their head! Ideally, your child should wear a purple top, but once covered in grapes, it won’t really make a difference. Then, blow up the balloons (not too full to avoid popping!) and pin them (from the balloon knot) to the shirt, turning your child into a bunch of grapes! Need inspiration? Check out these two posts from ehow and costume-works to get more ideas on how to make the bunch of grapes costume work. Family costume? Become a fruit family by dressing up as other fruits including a strawberry, pineapple, or watermelon. Gumball machines are fun, colorful and surprisingly easy to copy. What do you need? A white top, red pants, a glue gun and a bag full of large, colorful pom poms. Glue the pom poms to the white top. Before you get started, make sure you place a piece of cardboard inside the shirt so that you don’t glue the shirt shut. Then, fill up as much of the shirt as possible with the pom poms, which represent gumballs. Once dry, the costume is ready! For extra authenticity, make a turnkey and 25 cent sign using cardboard to place on the belt buckle. For additional inspiration, check out this post on Cute Girl Hair Styles. Family costume? Dress up like other candies and sweet treats including a lollipop, candy bar or cotton candy. Take ghost beyond the bedsheet level with these adorable no-sew ghost ponchos! Have your child wear white clothing underneath this adorable costume to complete the look. A bonus for those who live where October is chilly is that this costume also functions as a blanket! All you need is some fleece, felt, glue and scissors to make this look. Family Costume? Become a family of ghosts! Explore the deep ocean by dressing up like scuba divers! With oxygen tanks fashioned from 2-liter soda bottles, you can achieve this look without too much trouble. Learn everything you need to know about this costume from the Delineate Your Dwelling blog. Family costume? While some are scuba divers, others can be fish, sharks and other ocean animals. With these excellent costume ideas, you’ll be ready for Halloween in no time without losing your sanity or spending a fortune. So, pull out your crafting supplies and get started creating a fun costume or costumes that you can enjoy this season. Always remember to follow basic safety precautions during the Halloween fun. That means ensuring your kids stay warm enough and are always supervised. Children who are old enough to trick-or-treat on their own should be extra careful when wandering around after dark. Flashlights can be one way to stay safe. If your kids have cell-phones, you can also track their location via the Picniic app. Halloween is a fun and exciting time to indulge in sweets and have fun dressing up as something else. With a DIY costume, you’ll participate fully in this fun, cultural event while also getting in quality time with your kids. Do you have a great DIY costume you or your child will be wearing this year? Tell us about it in the comments below!